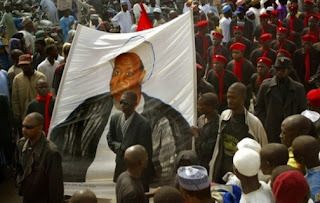 Shi’ite Muslims in Nigeria have rejected a panel set up by the government to investigate a military crackdown in which they say hundreds of their members were killed in northern Zaria city. The military accuses the pro-Iranian sect, known as the Islamic Movement of Nigeria (IMN), of trying to assassinate army chief Gen Tukur Buratai. But IMN denied the allegation and said its unarmed members were attacked and its shrine destroyed by security forces at the weekend. Yesterday, Nigeria’s Minister of Interior, Abdurrahman Dambazau, asked Police Chief to investigate what happened and report back to the government. However, an IMN leader, Malam Yakubu Yahaya, told the BBC that they will not co-operate with the investigation panel, and demanded an immediate release of their leader, Sheikh Ibrahim Zakzaky, who is being detained by the military. “We are not represented in the committee and we are not convinced with low-level officer asked to head the panel,” he told the BBC’s Yusuf Ibrahim Yakasai in Kano city. “We want to know his [Sheikh Zakzaky’s] condition. We need to speak to him,” he added. Hundreds of Shia followers took to the streets in six major northern cities yesterday to express their frustration over what happened.